FREE downloadable worksheets. Best viewed first in the slide show . Monumental capitals might be 8 to 10 nib-widths high. These are 7. Pen angle 30 degrees except for diagonals – 45 degrees, and legs of N, almost upright pen. Capitals in body text are better kept to perhaps half again as high as the minuscules. 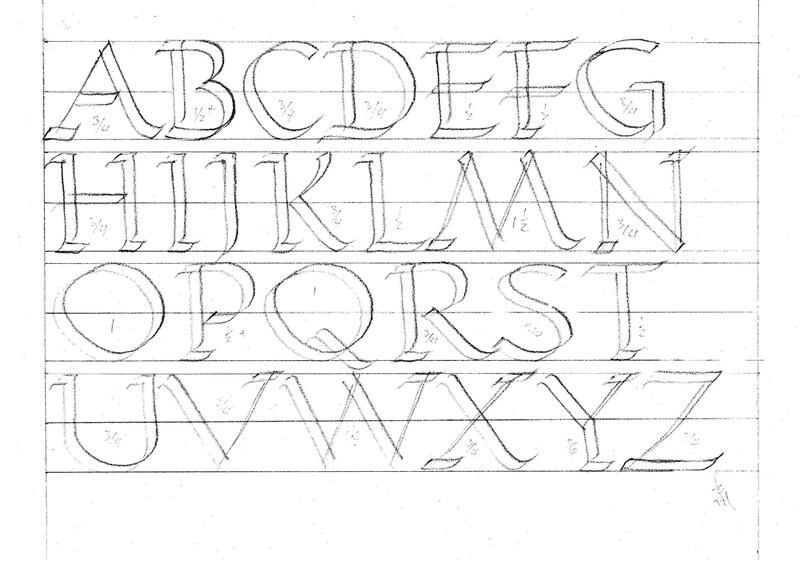 Widths of Roman capitals vary from 1 nib width – “I”, to half a square – “E”, 3/4 – “G”, 1 square “O”, to one and a half squares -“W”. 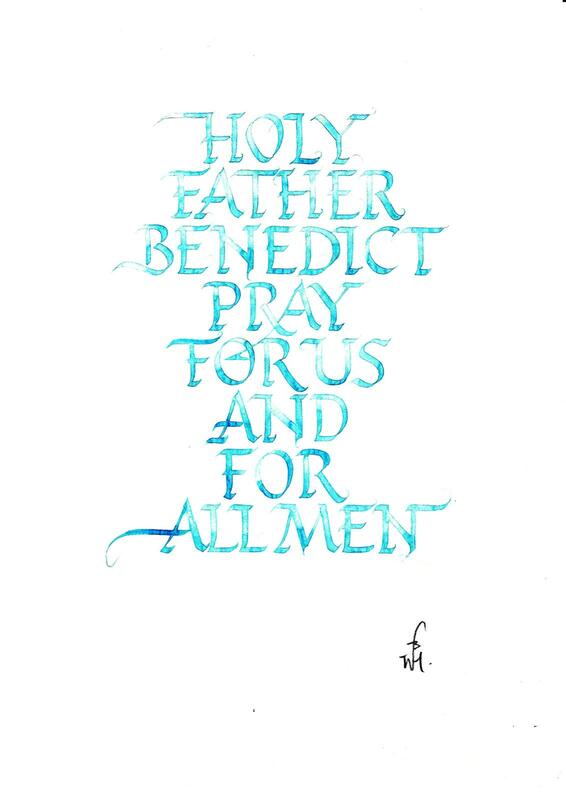 This entry was posted in ,calligraphy,calligraffiti,lettering, how to, Handlettering and tagged calligraphy, Roman Capitals. Bookmark the permalink. Missing your blog, Zeynep after the transition from Spaces Live. Hoping you are safe and that one day, we will see you again.